Biology is the study of life. 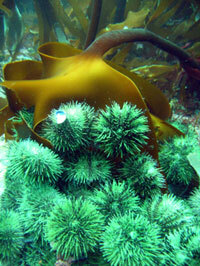 It's the study of the simplest forms of plants and animals -- think algae and one-celled animals - to the highly complex. It's the study of how organisms interact with their environment. It's the study of genes and how they're inherited from one generation to another. It's the study of how evolution has changed the behaviour, ecology and development of the creatures that live on earth. Biology is fascinating science and our students are not just attending lectures. They're peering through state-of-the-art microscopes, dipping their toes in tidal pools and getting their hands dirty in our greenhouse.